Tea rose. A climber with large, sweetly-scented, somewhat globular, semi-double, almost white, creamy-blush flowers in spring. In my garden, although very productive, the flowers tend to blow very quickly. [Paul (1848, 1863, 1888), Gore, Rivers (1854, 1857, 1863)]. Introduced from the Fa Tree Nursery, Canton, China, in 1810. 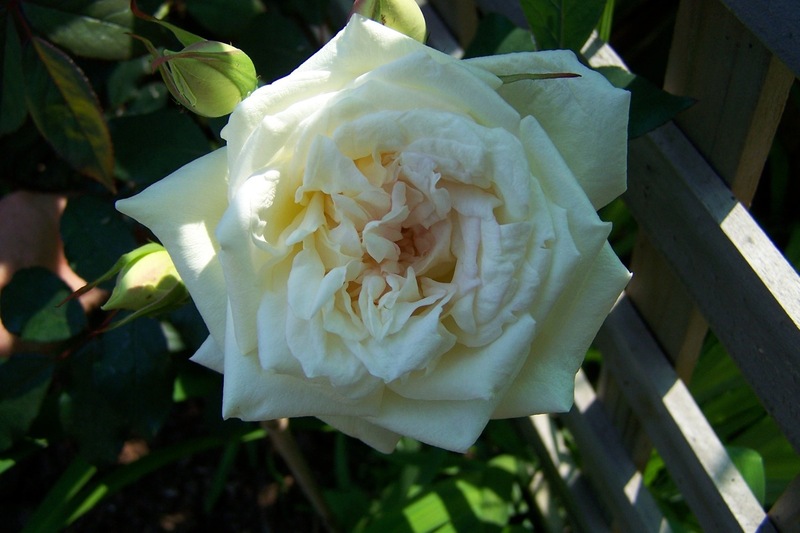 Listed in all published catalogues [T.841/1843] and described as a tea-scented rose in the 1843 and 1845 catalogues. This is presumably the rose referred to as odorata alba in some of Macarthur’s letters and invoices. Rosa odorata was ticked in a copy of the Hort. Reg., October 1831. Although this originally belonged to James Bowman, it is likely that this plant was grown by the extended Macarthur family earlier than 1843. This rose is sometimes confused with Rosa chinensis Jacq. var. odoratissima which see.